Located 1,300 feet from Darling Harbour Sydney, 1 bedroom Apartment, Ultimo offers accommodations in Sydney. The kitchen features a microwave. A TV is provided. Capitol Theatre is 0.6 miles from 1 bedroom Apartment, Ultimo, and Circular Quay is 1.3 miles from the property. The nearest airport is Kingsford Smith Airport, 4.3 miles from 1 bedroom Apartment, Ultimo. When would you like to stay at Loft Style Apartment minutes walk from the city? This apartment features air conditioning, tumble dryer and stovetop. Ultimo and nearby Pyrmont are ideally located for walking access to the city and Darling Harbour, as well as nearby Glebe. 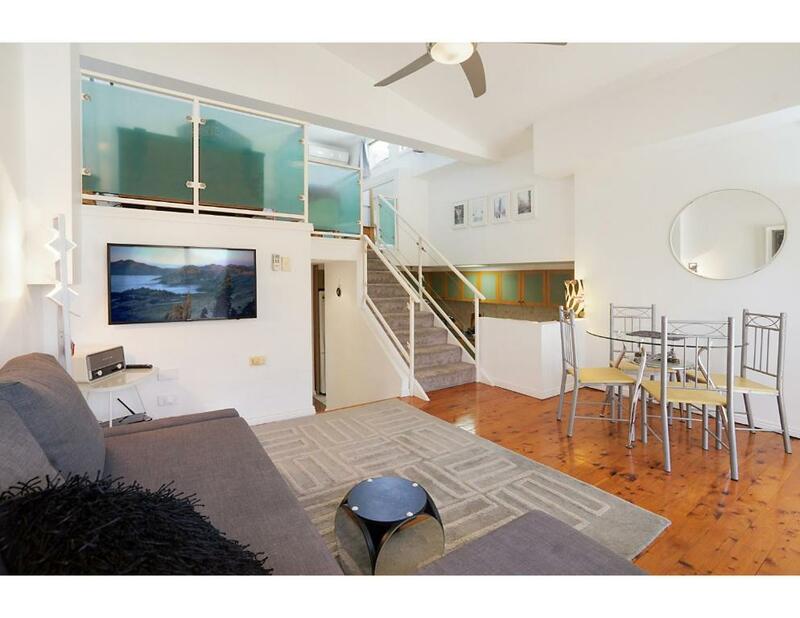 There are a wide range of local attractions in walking distance from the apartment including great cafes, restaurants and bars, the Powerhouse Museum, the Acquatic Centre with full pool and gym facilities, the fish market and the Star Casino. There are great walks around the Harbour Foreshore and parkland at Pyrmont. House Rules Loft Style Apartment minutes walk from the city takes special requests – add in the next step! A AUD500 damage deposit is required 7 days before arrival (about USD350.58). This deposit will be fully refunded 14 days after check-out, as long as there isn't any damage to the property. Loft Style Apartment minutes walk from the city accepts these cards and reserves the right to temporarily hold an amount prior to arrival. Please note that there is a 2% surcharge when you pay with a Visa, Mastercard and American Express credit card. A damage deposit of AUD 500 is required. The host charges this 7 days before arrival. That's about 350.58USD. This will be collected by credit card. You should be reimbursed within 14 days of check-out. Your deposit will be refunded in full by credit card, subject to an inspection of the property. We need at least 5 reviews before we can calculate a review score. If you book and review your stay, you can help Loft Style Apartment minutes walk from the city meet this goal. a few minor hick ups during the stay, that required more attention that they should have.